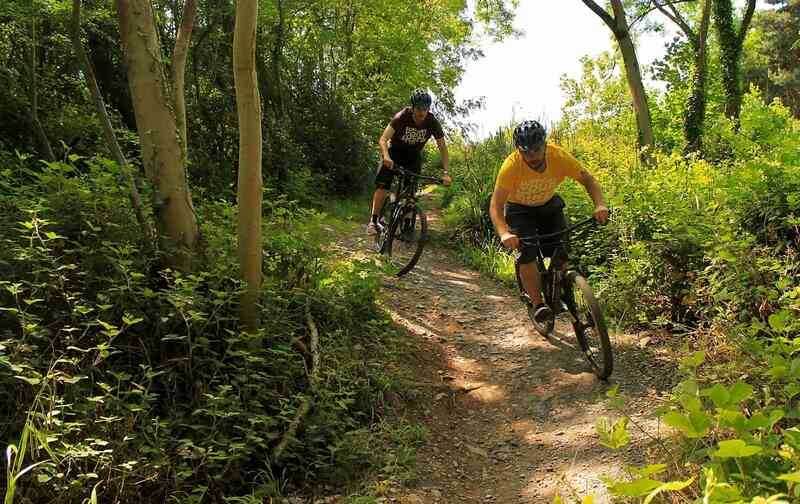 We are a mountain bike hire centre (amongst other things), renting out high quality mountain bikes for people to access the awesome trails we have here at Ashton Court, and in the neighbouring Leigh Woods. There is approximately 12km of all weather trail in total, suitable for beginners and intermediate riders. You must phone ahead to book bikes 0117 973 1298. Please do not email us for hire reservations or enquiries. We look forward to seeing you soon! Very friendly, helpful, knowledgable staff. Great overall activity. Really nice people and such a good deal! Great fun and really cheap on move gb. Right on my doorstep too. Loved it. Really friendly staff, knowledgeable of the local trails and helped in finding them. Can't recommend enough! What a great deal! The rental bike was better than I was expecting and the terrain is great at getting people into trail biking!